Question: Who are the three sons of Chronos? 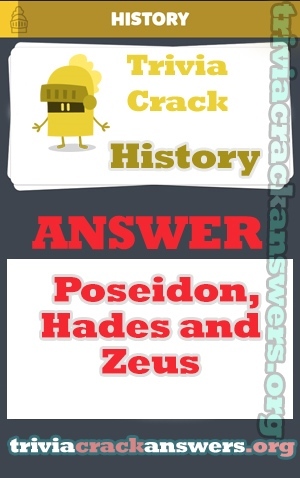 Answer: Poseidon, Hades and Zeus. Wie wird die Union of European Football Associations abgekürzt? Who is the main vocalist of the band Guns N’ Roses? The main character of what TV series cooks meth with the nickname of ‘Heisenberg’?